The social gaming giant, Zynga, is officially filing for an IPO. That means Initial Public Offering, or, more colloquially, Zynga is going public with its stock. The thing about filing for IPO is that all of the financial data becomes open and eligible for public perusal. The company aims to raise one billion dollars with this initial public offering. Zynga did not say, however, how many shares it's willing to sell or at what price it's willing to sell them for. The company currently has a lot of money on hand with one of the largest user bases and best track records for any social games maker. 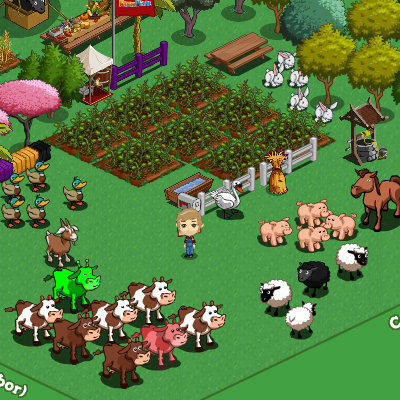 A game from Zynga has ranked in the top spot on Facebook every single month since 2009. And its player base consists of more than 232 million monthly active users. When it comes to social gaming, Zynga is king of the hill. The company makes all of its money off of the free-to-play model, something that more traditional game companies are adopting in large volumes today. It's free to sit down and play FarmVille, for instance, as long as you want. But if you want something extra or a little boost to some of your in-game objects, Zynga will sell you a small tractor or fertilizer for a tiny price. All of that adds up as consumers are willing to dish out dollars at a time for virtual goods, a market that's growing rapidly. ThinkEquity LLC predicts that virtual goods will earn more than $20.3 billion in 2014. That, simply put, is a lot of dough. As more news comes from the public offering of Zynga, we'll be on it.